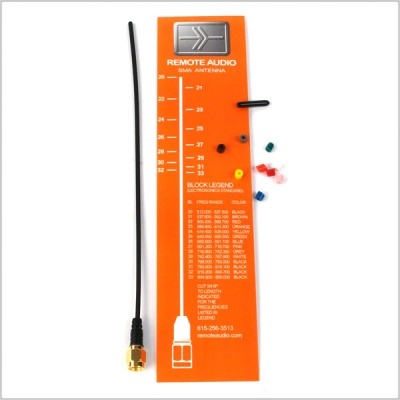 Remote Audio “Miracle Whip” ANBNC Flexible Antenna Kit. Always straightens! Miracle Whip antennas are made of memory steel which is flexible but highly resistant to permanent bends. 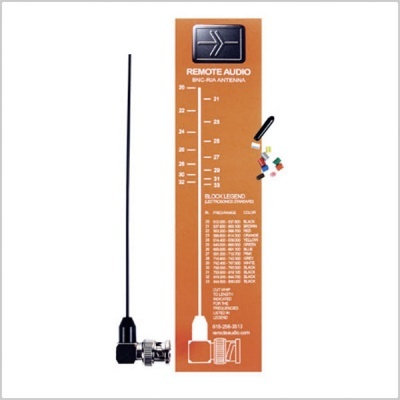 Recommended for Lectrosonics or any other UHF Receiver or Transmitter with BNC connectors operating between 500-900 MHz (Lectro Blocks 21-33). Includes frequency trimming chart and color coding bands. 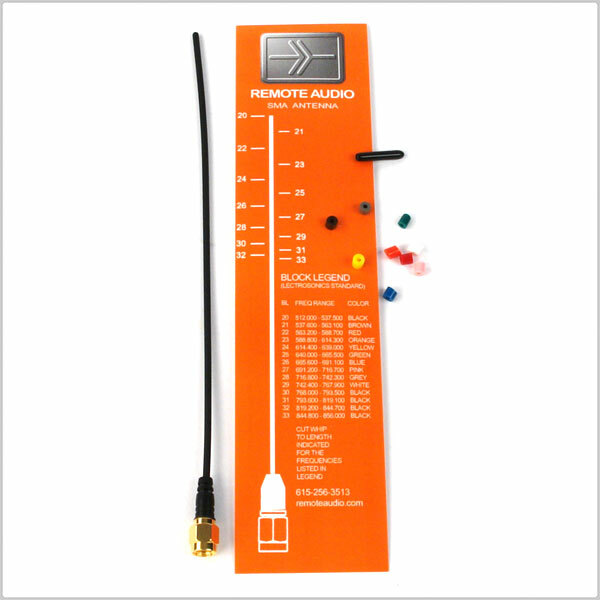 Remote Audio “Miracle Whip” ANSMA Flexible Antenna Kit. Always straightens! Miracle Whip antennas are made of memory steel which is flexible but highly resistant to permanent bends. Recommended for Lectrosonics, Zaxcom, or any other UHF Receiver or Transmitter using SMA connectors operating between 500-900 MHz (Lectro Blocks 21-33). Includes frequency trimming chart and color coding bands. 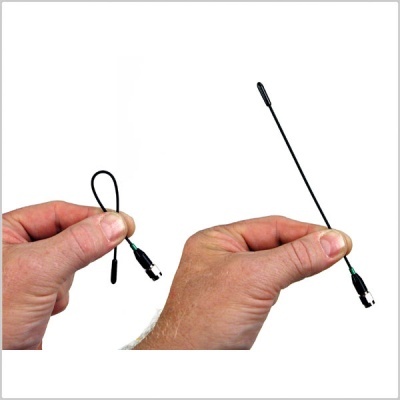 The "Miracle Whip" type antenna is more rigid than the "Ultra Flexible" type antenna.